Cesenatico is a short trip from Rimini (just 16km) and well worth the visit – at any time of the year, though it’s particularly popular in December/January thanks to its beautiful floating crib display. While there have been inhabitants in this part of Romagna from at least the 5th Century B.C, Cesenatico itself dates back to 1302 when nearby Cesena established a coastal fort here. Caught, though in the ongoing struggles between Rimini and the Duke of Urbino, and the Papacy, the fortress was almost immediately razed to the ground. From this time onwwards the port for Cesena continued though without flourishing. Cesenatico really started to flourish though when it came under the control of Cesare Borgia in 1500. It was Borgia who commissioned Leonardo Da Vinci to do work for him throughout Romagna, and it was Da Vinci who originally designed Cesenatico’s wonderfully scenic porto canale. The port canal was originally intended to stretch all the way to Cesena, connecting the inland town with the port, but this was never to be. After the downfall of Borgia the town was once again caught up in the various power struggles that characterised Italy in this period. It wasn’t until the Napoleonic invasion, the creation of the Cisalpine Republic and the Kingdom of Italy that Cesenatico managed to gain some serious autonomy (a similar pattern to a number of towns in Romagna). Cesenatico prides itself in particular for briefly harbouring the heroes of Italian unification, Giuseppe and Anita Garibaldi. Garibaldi in 1849 was forced to flee the fledgeling Roman Republic; he and his pregnant wife Anita, along with 400 followers, made their way up Italy to the Republic of San Marino, before heading to the coast and Cesenatico. From their they took to sea, hoping to reach Venice to continue their struggle (they failed – Anita died in nearby Comacchio, while Garibaldi was eventually forced to emigrate by the Piedmontese authorities). There are hundreds of hotels in the area in and around Cesenatico. 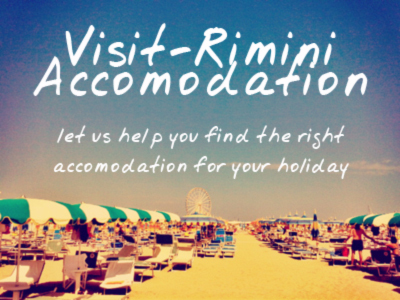 For our full list of accomodation in Cesenatico you can look here. Some immediate suggestions: You can try the 4star Internazionale with its private beach, swimming pool, and children’s playground. For a 3star hotel you can try the Stella Maris, also with private beach and private pool. To stay close to both the Porto Canale and the centre of the town, while still just a short walk from the beach, you can try the attractive guesthouse Casina Conserve. The Porto Canale Leonardesco – this is the heart of the town, and a perfect place to stroll. It has restaurants and bars on either side, and is wonderfully atmospheric regardless of its history. Add to it the fact that it was designed by Da Vinci (on the base of an existant canal) and you can combine history, architecture and culture in one fell swoop! Along the canal look out for the house that harboured the Garibaldi, plus the 19th century fish market. The port canal is particularly picturesque during the Christmas period when local fishermen put on a floating crib display that attracts visitors from Rimini and beyond. Piazza delle Conserve – a wonderful small square just a short step away from the Porto Canale, this piazza has in its corner a communal building with a cone shaped roof that was designed – as was common throughout Italy, before electrification and the advent of domestic refrigeration – to store snow and ice to be used for refrigeration (and to store and keep fresh fish). The piazza nowadays plays host to various events including a daily fruit and vegetable market. The Maritime Museum – situated on the Porto Canale, Cesenatico’s Maritime museum is open all year round, and provides a fascinating insight into the world of the fishermen who play a fundamental part in the culture of the Romagna.